The Amazing Spider-Man is basically 1974’s Death Wish with a giant killer lizard thrown into the story. I really enjoyed The Amazing Spider-Man – as you can tell from my article “12 Things The Amazing Spider-Man Did Better Than the Original Trilogy.” I don’t usually watch movies in theaters, but I had to make an exception for this highly anticipated reboot. I was pleasantly surprised by how different it was from the Sam Raimi films. Spider-Man 2 is one of the best superhero films I’ve ever seen, but the other two films in that series were unfocused and failed to have anything at stake in the climax. But I’m not here to talk about that. Right now I want to point out all the similarities between The Amazing Spider-Man and the Charles Bronson antihero film Death Wish. This will be a little different than my usual Movie Matchups because in this case the details are a bit broader, but I still think there are enough of them to make a strong case. So let’s take the law into our own hands and hunt down all the parallels between these two films. The main character is a peaceful person before events beyond his control take place. One of the main character’s relatives is murdered by a random thug, while another relative survives. The main character becomes a vigilante to get revenge, and he keeps targeting the same type of person. Other citizens stay quiet about the vigilante’s true identity. The police catch on and discover his identity, but they leave him alone after he makes a promise. The vigilante can’t keep his promise. The killer responsible for the original murder is never found. When we’re first introduced to the main character, he’s just a regular guy who would prefer to stay out of trouble than cause it. But he does have a latent concern for others. Peter Parker is a nerdy high-school kid who gets easily bullied. When he tries to stand up for another kid who’s being hazed, the bully simply sets his sights on Parker instead. That doesn’t keep Parker from wanting to help others, though. He just doesn’t have the ability to make a difference yet. 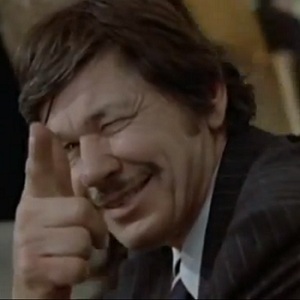 Charles Bronson’s character Paul Kersey is described as a “bleeding-heart liberal” by a friend at the start of Death Wish. He doesn’t find it necessary to own a gun or take other precautions to protect himself or his wife or daughter, even though they live in a dangerous city. The main character’s loved one is killed by an unknown thug, and the main character and a surviving family member have to deal with the aftermath. Parker’s Uncle Ben is killed by a thief who is fleeing a convenience store. Parker’s Aunt May is all right, but her anguish over the loss of her husband eventually inspires Parker to try to find his uncle’s murderer. While Kersey is at work, his wife and daughter are assaulted in their apartment by a group of thugs. His wife is killed and his daughter is physically and psychologically scarred by the horrific event. There is a big difference between the two films that’s worth noting here. Parker already had his superpowers at this point in the film, so he could have stopped the thief if he wanted to. But there was nothing Kersey could have done to prevent the tragedy that befell his wife and daughter. Parker legitimately feels responsible for his uncle’s death while Kersey simply feels a desire to get revenge for the horrible injustice committed against his family. When the police fail to bring the killer to justice, the main character takes the law into his own hands. Peter Parker hones his newfound superpowers to track down his uncle’s murderer. He figures things out little by little, like the fact that he needs a mask to hide his identity from the police, and he needs to be more discreet to avoid detection. Kersey leaves New York City for a while and goes to a rural area where he learns how to use a firearm. He returns to the big city and soon starts killing attempted muggers. He pretends to be weak to lure criminals to him, and then he shoots them through his coat pocket or in other creative ways. He never dons a mask, like Peter, but he usually manages to kill all the criminals who see his face. Despite his attempts to avoid detection, the hero is seen by some innocent bystanders. However, those witnesses refuse to turn him in. In order to rescue a frightened kid from a burning van, Spider-Man removes his mask and calms his fears. The boy and his father never reveal Spider-Man’s secret, and the father actually helps him at the film’s climax. Kersey gets more daring in his attempts to take down criminals as time goes on. At one point, someone sees him fleeing the scene of a crime, but when the police question the witness he refuses to talk. Kersey’s anonymous killings lead to a decrease in crime as other citizens begin to stand up for themselves and fight back against muggers. So his vigilante methods produce some positive results. The police follow clues and uncover the vigilante’s true identity, but they don’t arrest him as long as he promises to do something for them. One thing I really like about The Amazing Spider-Man that I should have included in my top 12 list is the fact that it portrays the police as being competent. They don’t just stand outside burning buildings and wait for Spider-Man to do their work for them. They charge into danger, analyze situations, and often make smart decisions. 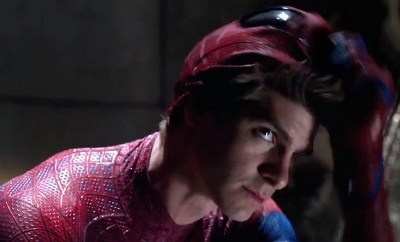 One of the best moments in the film is when they corner Spider-Man and unmask him. The police chief lets him go so he can save the city from a biological weapon, and he later forces him to promise not to see his daughter Gwen Stacy again. 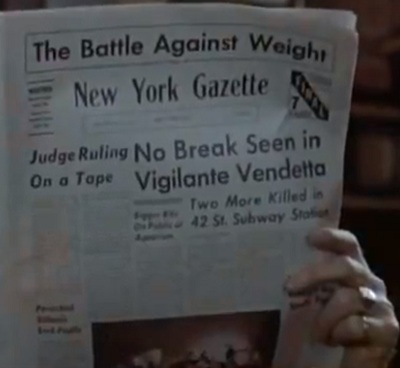 The police in Death Wish narrow down the list of suspects for the Vigilante based on his motive, location, and other factors. It’s clever and believable how they arrive at the conclusion that Kersey is the man they’re looking for. But by the time they nab him, he’s become such a hero in the public eye that they decide to let him off if he leaves town and ends his killing spree. In the end, the vigilante can’t keep his pledge to the police. The police chief dies shortly after making Parker promise not to see his daughter. Parker is true to his word for a few days, but (in a move that absolutely delighted me) he decides there’s no way he can live without the girl he loves, so he gives the audience a hint that he will break his promise. Kersey lives up to his promise to leave New York City. He immediately gets transferred to Chicago, and at the airport he sees a group of punks harassing a young woman. They quickly leave her alone as Kersey approaches, but they make threatening gestures toward him as they go. He just smiles, makes a gun shape with his hand, and points it at them. Clearly, he’s telling the audience that he hasn’t given up his aggressive style. Unfortunately, the murderer at the beginning of the film is never brought to justice. Despite all the good that Spider-Man does in his quest to fight crime, he never finds his uncle’s murderer. Some people might see this as a poorly structured plot point because the movie switches focus so abruptly from revenge story to superhero tale, but I see it as an interesting twist. Parker doesn’t know that he’s supposed to be a hero when he gets his powers. He’s just a confused teenager who’s trying to figure things out. When he realizes that what he is doing is wrong and there are better things he could be doing with his abilities, he changes course for the better. Death Wish ultimately fails for me because it’s so repetitive. Kersey walks the city streets, kills a few criminals, and then escapes into the night. He repeats those steps a half-dozen times before the movie finally peters out. The climax isn’t that he finds solace or finally arrives at some sort of closure to the whole rotten affair of his wife’s murder. He just leaves town and gets ready to kill other people if the opportunity arises. Not much of an ending. At least The Amazing Spider-Man is the beginning of a planned series that could eventually bring this story arc to a satisfying conclusion. By the way, if you’ve seen any of the Death Wish sequels, feel free to let me know if they have a scene in which Kersey finally gets his revenge. I don’t plan on seeing them. There you have it. The Amazing Spider-Man is remarkably similar to the original Death Wish. Coincidence? Probably, but it’s still interesting. 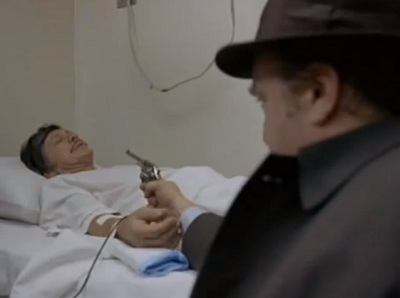 I don’t particularly like Death Wish, though it does have some suspenseful moments. It just doesn’t go anywhere. The Amazing Spider-Man, on the other hand, is a movie that I’m excited to watch again and I can’t wait to follow its sequel. It’s not perfect, it has its share of flaws, but I think it’s a worthy addition to the Renaissance of superhero films we’re currently enjoying. I’d take a good superhero film over an antihero film any day. This entry was posted in Movie Matchups and tagged action movies, comic books, films, movie review, movies, spiderman. Bookmark the permalink.